Turn to propane to safely fuel all of your indoor and outdoor amenities. From home heating, water heating and pools, to fireplaces, cooking and even clothes drying, propane is a versatile fuel that delivers efficiency and convenience. Clean - This low-carbon fuel produces significantly fewer greenhouse gas emissions than most energy sources. Efficient - Furnaces, water heaters and other propane-fueled equipment receive some of the highest ratings on the market for efficiency. Reliable - A proven energy source you can count on, having propane stored at your home guarantees you'll always have adequate gas pressure as well as ample supply - even when the electric grid is down. Readily Available - Our own storage facility in Bridgeport ensures that our customers will never run out, regardless of weather. And, with the U.S. as the leading producer of propane in the world, it's always abundant. Versatile - As the only fuel able to power almost every appliance in your home, nothing else compares to its convenience. Learn more about the versatility of propane here! We offer a floating price program to our propane customers. This is the most competitive program and allows your price to go up and down based on current market conditions. Contact us to learn more about our price programs. 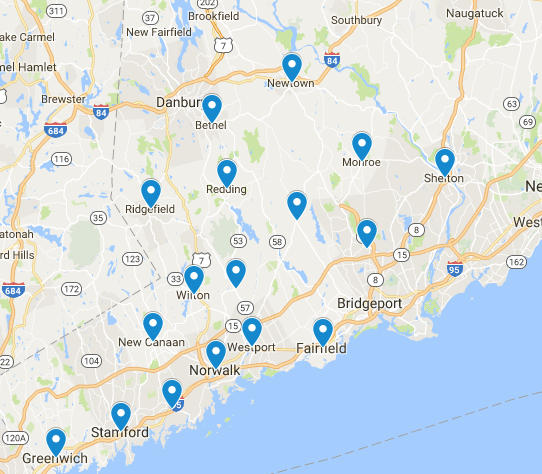 Automatic delivery is available for the following towns: Darien, Easton, Fairfield, Greenwich, New Canaan, Norwalk, Redding, Stamford, Trumbull, Weston, Westport, Wilton, and areas of Bethel, Monroe, Ridgefield, and Shelton. TIP: Check your gauge periodically during peak season and alert us if it reads 30% or below. For step-by-step instructions on how to check your gauge, click here. In the event of a heating emergency, contact us 24/7 at 203.227.5181. If you already have propane at your home, partner with us and we'll care for all your propane needs. Whether you rent or own your tank, making the switch is easy and hassle free. Learn more and take advantage of savings! We provide expert propane tank installations, and will help you determine the best above- or below-ground tank solution. Unlike other suppliers, we coordinate the entire process - from excavation to installation - in-house. Learn more about our propane solutions here. 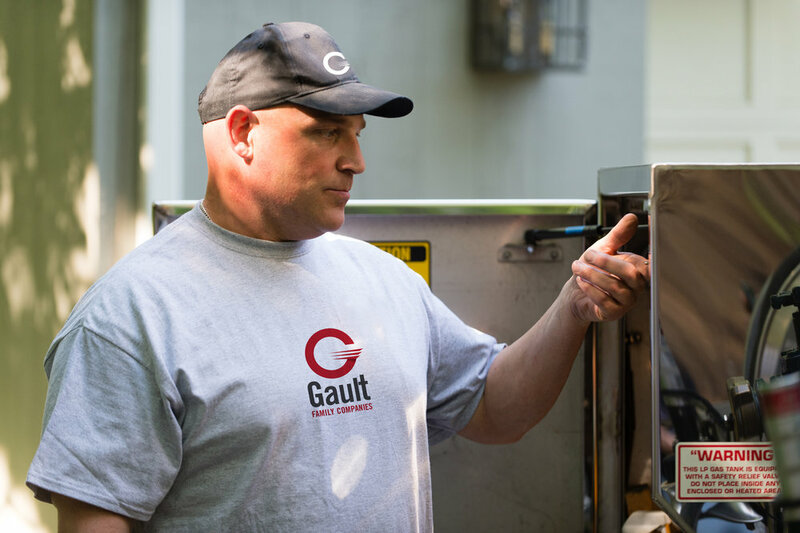 We install propane and all related appliances for a variety of indoor and outdoor amenities. From small installations to a full home heating conversion, we can help. We coordinate the installation process completely in-house. Contact us today to schedule a free in-home consultation with one of our Propane Experts. Builders consider propane the go-to resource in the construction of new homes. We work with the best home construction professionals in the region in order to ensure outstanding quality for every customer. Request our Building With Propane resource guide here. Regular care and maintenance is important on any major home appliance, especially your heating system. 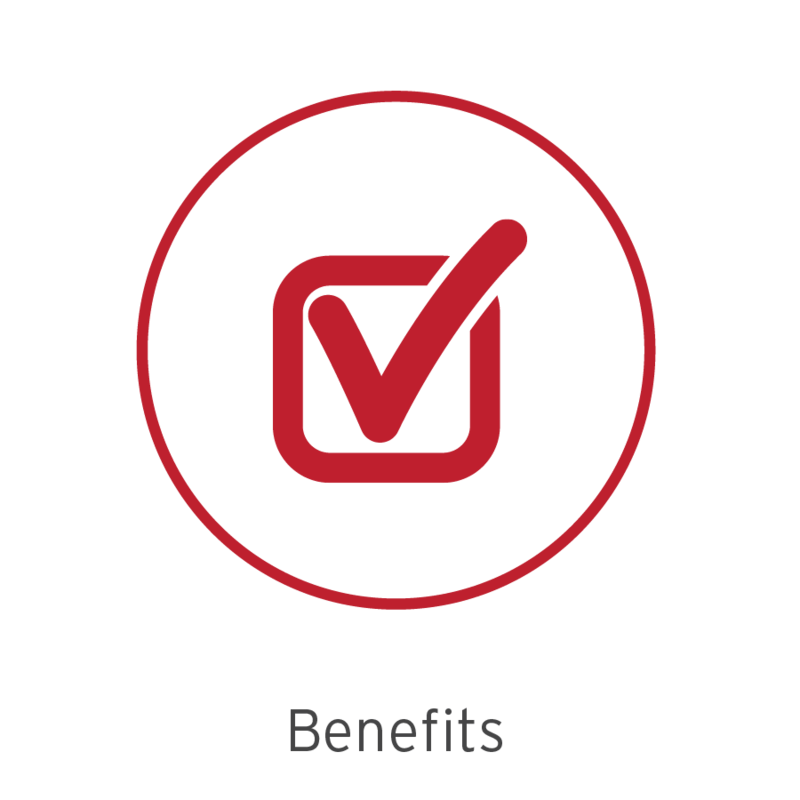 Our Heating Protection Plans will help you save money on costly repairs from unmaintained equipment, reduce the likelihood of equipment breakdown and extend the lifetime of your equipment. As your home solutions partner, we are here to maintain and repair all of your home needs. Learn more about our Protection Plans, including Air Conditioning and Generator Plans and take advantage of savings!